Then the price will be updated to reflect the discount, bringing down the cost to as little as ~$136 one-way (the 50% discount applies to the base fare, so the total is a little more than half, given the taxes on the ticket). * This offer ends on February 7th, 2016 at 11:59pm PT. This offer is valid for nonstop travel in SFO-HNL/OGG only; offer is not valid for any multi-city itineraries. Travel must occur between February 6th, 2016 and March 6th, 2016. One time use promo code is valid only in Main Cabin. No blackouts. Promo code applies to newly booked travel and may not be applied to prior bookings. Promo code discount will be deducted off of base fare. 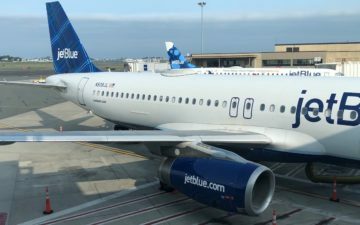 Base fares do not include Passenger Facility Charges of up to $9 each way, September 11th Security Fees of up to $5.60 per one way trip, where each one-way trip may include a connection or stopover between two domestic flights not exceeding 4 hours, and a Federal Segment Tax of $4.00 per domestic segment. A segment is a takeoff and landing. A stopover is a break in travel of more than 4 hours between 2 flights. Promo code may not be redeemed for cash. 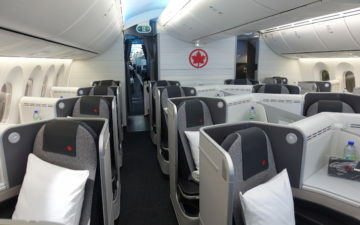 Promo code may only be used for bookings made on virginamerica.com and is only valid on itineraries of exactly 2 guests. Offer is not transferable and cannot be combined with any other offers. Seats are limited, subject to availability, and may not be available on all flights. If travel is changed or cancelled, promo code discount will become invalid. Changes or cancellations can be made for a $150 fee per guest through all channels, plus any increase in fare, if applicable. Any remaining balance will be placed in a guest’s travel bank, good for travel on Virgin America for one year from date of issue. Promotion code is not eligible for Elevate points redemption bookings. Guests who no-show without a change or cancellation prior to the scheduled departure time will forfeit the amount of this fare. In addition, any future flights booked in the same reservation will also be canceled and the fare will be forfeited. Tickets purchased from Virgin America through our reservation call center will cost an additional $20 per guest per itinerary. Any added cost associated with purchasing tickets from Virgin America through our reservation call center will be non-refundable. Fares will not be honored retroactively or in exchange for any wholly or partially used ticket. Fares, routes, fees and schedules are subject to change without notice. 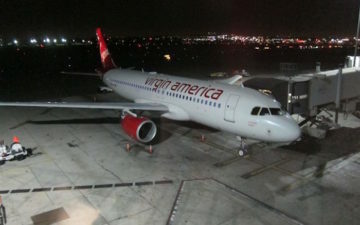 Virgin America will accept up to ten pieces of checked baggage, up to 50 pounds each, per ticketed guest traveling within the U.S. Additional fees apply to baggage exceeding these weight limitations, and other baggage restrictions may apply. While most of us probably won’t be able to take advantage of this deal, I’m sure some will. A 2-for-1 deal without blackout dates over the next month is a great way to plan a last minute getaway to Hawaii. Virgin America has a great economy product, so it might even be worth forgoing “traditional” miles in order to get Virgin America’s superior inflight entertainment and in-seat power (and heck, you can even credit your miles from the flight to Singapore Airlines KrisFlyer, which would be significantly more lucrative given their revenue based program). Anyone able to take advantage of this and plan a last minute trip to Hawaii? That is a great deal for such a long flight( I am in Europe, anything over 3 hours is long), I wish the UK had access to such good deals. 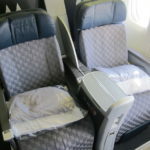 I can fly budget airlines to some strange places but when you compare the prices to BA they are not such good deals and when something goes wrong the budget airlines just don’t step up compared to BA or similar. I live in Reno (RNO). I’m going to think about this overnight. Not very many cheap fares out of RNO but a 4 hour drive to SFO to take this might be worth it. 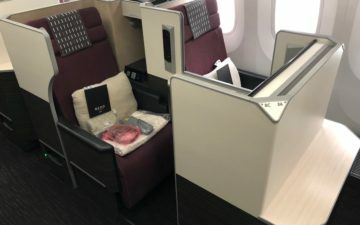 Don’t Singapore KrisFlyer miles expire relatively quick? Thanks for posting this, Lucky! FYI, having flown this route a couple of weeks ago, their live TV system and wifi don’t work over the pacific. Also, up until a couple of days ago, these fares were as low as $159 one way. So they basically raised the prices and gave you a 1/2 off code. Still a good price but not as lucrative as it first appears. 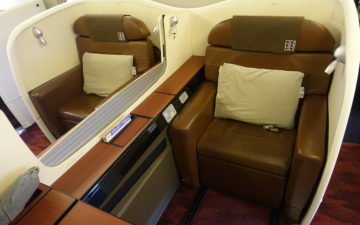 Lucky, Garuda Indonesia has a new reverse herringbone seats on their new A330-300s. You might wanna check them out, they look really solid. I am currently on a Delta status match challenge. Would these miles count toward my challenge miles?